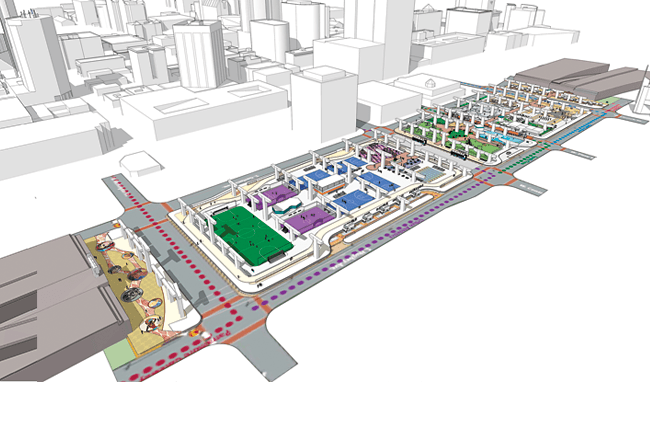 The “Under i” plan calls for turning mostly parking spaces below the interstate downtown into a recreational area. The overpass now separates the city’s business and nightlife areas from its sports venues. The “Under i” plan calls for turning mostly parking spaces below the interstate downtown into a recreational area. 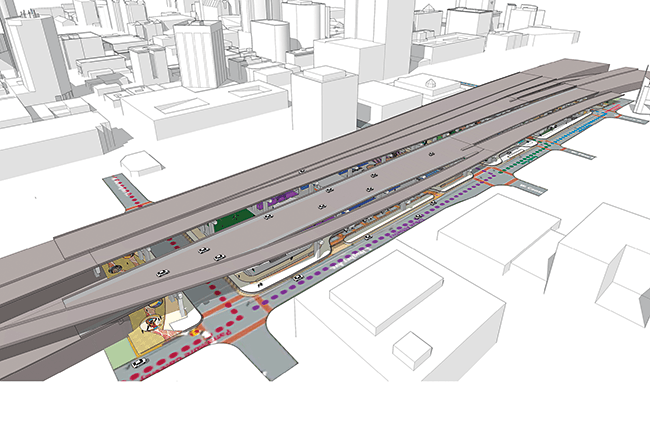 I-4 cuts an unsightly gash through downtown Orlando, creating an elevated obstacle that separates the central business and nightlife district from the city’s sports venues, leaving space beneath the roadway that is relegated mostly to surface parking. But now, with the highway in the midst of a nearly seven-year reconstruction, city leaders are working on a new vision for that space — a five-block-long, urban park dubbed the “Under i.” New plans, unveiled in October, call for a collection of community assets, including soccer fields, basketball courts and a ¼-mile running track; playground and splash pad; a skateboard plaza; and flexible entertainment and market spaces. Groundbreaking is expected to happen in 2021, around the time the I-4 reconstruction is complete. Research by Oxford University professors suggests that, in the future, many low-wage service occupations have a higher-thanaverage probability of being automated. The most likelyto- be-automated jobs include those in office and administrative support, food preparation and service, and sales and related positions. The Institute for Spatial Economic Analysis at the University of Redlands in California combined the Oxford research with U.S. employment data from the Bureau of Labor Statistics to rank regions in the U.S. based on the vulnerability of their jobs to automation. The results weren’t good news for Orlando, where the dominant tourism industry creates plenty of jobs, but many of the kind that Oxford found are likely to be automated. The ISEA analysis found more than 61% of the jobs in the metro region are automatable, making Orlando the seventh-most vulnerable city in the nation among 100 metro areas around the country with more than 250,000 jobs.